Weather and Natural Gas: Is the relationship over? 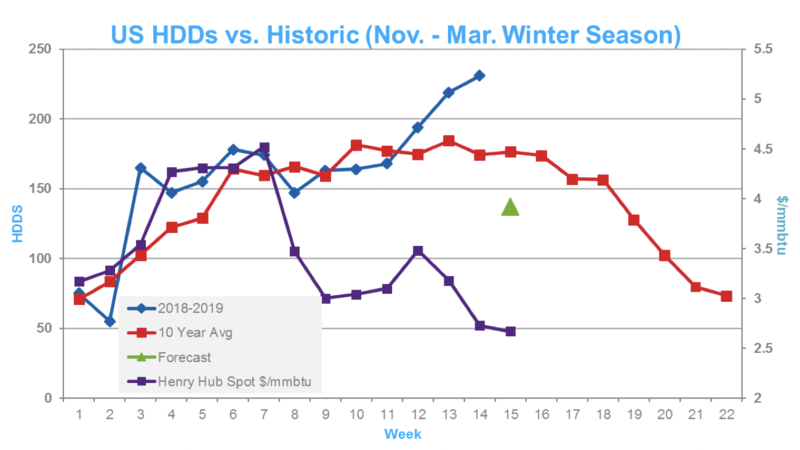 Population-weighted Heating Degree Days (HDDs) across the US are nine percent higher this winter season as of Feb 9, according to NOAA data. Yet, Henry Hub NYMEX spot natural gas prices have lost $1.85/mmbtu since mid-December. HDDs, once considered the bellwether of indicators, seem to have lost their luster.